This article is about the language. For the people, see Hakka people. Hakka /ˈhækə/, also rendered Kejia, is one of the major groups of varieties of Chinese, spoken natively by the Hakka people throughout in southern China, Taiwan, Hong Kong and throughout the diaspora areas of East Asia, Southeast Asia, and in overseas Chinese around the world. 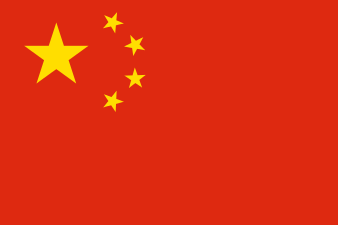 Due to its primary usage in scattered isolated regions where communication is limited to the local area, Hakka has developed numerous varieties or dialects, spoken in Guangdong, Fujian, Jiangxi, Guangxi, Sichuan, Hunan, and Guizhou provinces, including Hainan island, Malaysia, Hong Kong, Singapore and Taiwan. 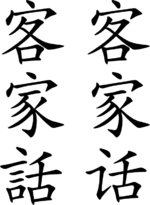 Hakka is not mutually intelligible with Mandarin, Wu, Southern Min, or other branches of Chinese, and itself contains a few mutually unintellegible varieties. It is most closely related to Gan and is sometimes classified as a variety of Gan, with a few northern Hakka varieties even being partially mutually intellegible with southern Gan. There is also a possibility that the similarities are just a result of shared areal features. Taiwan, where Hakka is the native language of a significant minority of the island's residents, is a center for the study and preservation of the language. Pronunciation differences exist between the Taiwanese Hakka dialects and China's Guangdong Hakka dialect; even in Taiwan, major two local varieties of Hakka exist. The name of the Hakka people who are the predominant original native speakers of the variety literally means "guest families" or "guest people": Hak 客 (Mandarin: kè) means "guest", and ka 家 (Mandarin: jiā) means "family". Among themselves, Hakka people variously called their language Hak-ka-fa (-va) 客家話, Hak-fa (-va), 客話, Tu-gong-dung-fa (-va) 土廣東話, literally "Native Guangdong language", and Ngai-fa (-va) 我話, "My/our language". Due to the migration of its speakers, Hakka may have been influenced by other language areas through which the Hakka-speaking forebears migrated. For instance, common vocabulary is found in Hakka, Min, and the She (Hmong–Mien) languages. In recent times, many She people have become Hakka speakers. 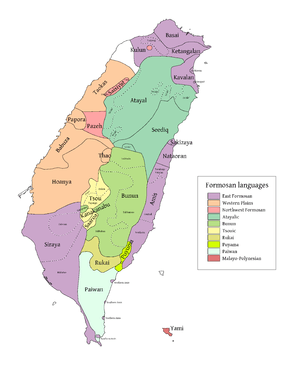 In Taiwan, there are two main dialects: Sixian and Haifeng (alternatively known as Hailu). 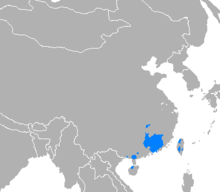 Hakka dialect speakers found on Taiwan originated from these two regions. Sixian speakers come from Jiaying (嘉應) and surrounding Jiaoling, Pingyuan, Xingning, and Wuhua. Jiaying county later changed its name to Meixian. The Haifeng dialect contains postalveolar consonants ([ʃ], [ʒ], [tʃ], etc. ), which are uncommon in other southern Chinese varieties. Wuhua, Dabu, and Xingning dialects have two sets of fricatives and affricates. 渠 or 𠍲 [ki˩] he / she / it In Hakka, the standard Chinese equivalent 他 / 她 / 它 is pronounced [tʰa˧]. 阿妹, 若姆去投墟轉來唔曾? [a˦ mɔi˥, ɲja˦ mi˦ hi˥ tʰju˩ hi˦ tsɔn˧˩ lɔi˩ m˦ tsʰɛn˩] Has your mother returned from going to the market yet, child? 其佬弟捉到隻蛘葉來搞. [kja˦ lau˧˩ tʰai˦ tsuk˧ tau˧˩ tsak˩ jɔŋ˩ jap˥ lɔi˩ kau˧˩] His younger brother caught a butterfly to play with. 好冷阿, 水桶个水敢凝冰阿 [hau˧˩ laŋ˦ ɔ˦, sui˧˩ tʰuŋ˧ kai˥˧ sui˧˩ kam˦ kʰɛn˩ pɛn˦ ɔ˦] It's very cold, the water in the bucket has frozen over. ↑ Hammarström, Harald; Forkel, Robert; Haspelmath, Martin; Bank, Sebastian, eds. (2016). "Hakka Chinese". Glottolog 2.7. Jena: Max Planck Institute for the Science of Human History. ——— (2002). "Gan, Hakka and the Formation of Chinese Dialects" (PDF). In Ho, Dah-an. Dialect Variations in Chinese. Taipei: Academia Sinica. pp. 129–154. Wikivoyage has a travel guide for Hakka phrasebook.